While learning versatile combinations of modern Oriental dance, we focus on the very individual expression and presence of each one's unique dance. Fusing Oriental dance with contemporary and other tribal dances offers us a big possibility of expression and creates a vehicle to share our deepest stories. 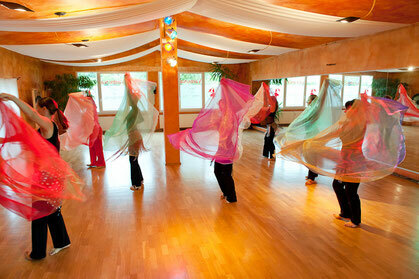 Both workshops are accompanied by an energizing warm-up and a soft relaxation. All levels are welcome! Please contact me for reservation or any question. 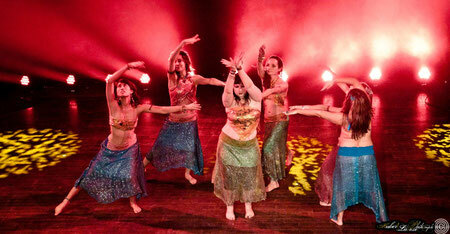 This sensual yet powerful dance invites you to dive into your feminine essence. 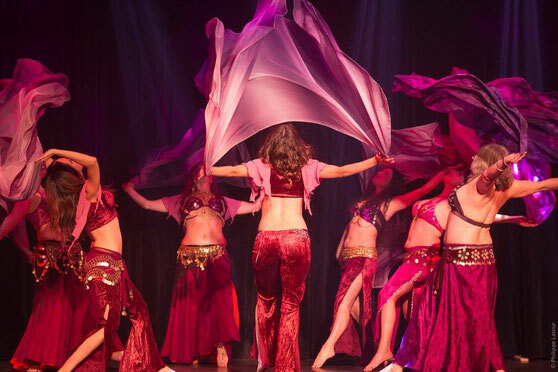 Bellydance is a way to connect with the Woman in our hips, our bellies - in our arms and feet and eyes - of owning and expressing our sensuality with dignity and pride... We combine elegant and graceful body waves with vibrating shimmies and circular hip movements. Modern Oriental dance has its roots in Bellydance but is inspired by styles like flamenco, modern, jazz and African dance to broaden our spectrum of expression. Movements from fluid to sharp, from soft to accentuated... come and explore! Our practice is accompanied by a warm-up and cool-down including breathing and stretching exercises of yoga. We combine elegant and graceful body waves with vibrating shimmies and circular hip movements. Modern Oriental dance has its roots in Bellydance but is inspired by styles like flamenco, modern, jazz and African dance to broaden our spectrum of expression. Movements from fluid to sharp, from soft to accentuated... come and explore! Our practice is accompanied by a warm-up and cool-down including breathing and stretching exercises of yoga. If you are interested in learning in a calmer atmosphere, a private lesson could be a good option for you. Personal coaching / Choreography work / Technique & questions are part of an individual private session. The classes take place at studio Caravane, 6262 St-Hubert. A small group of 3 to 5 people provides a cooperative and efficient learning atmosphere. 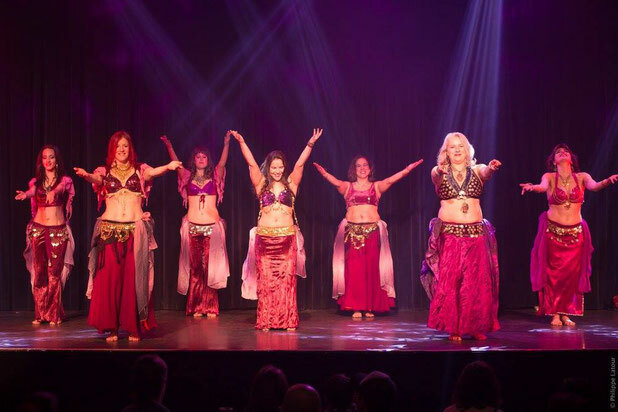 We go deeper into details of technique and the expression in Bellydance and there is time for specific questions and answers.